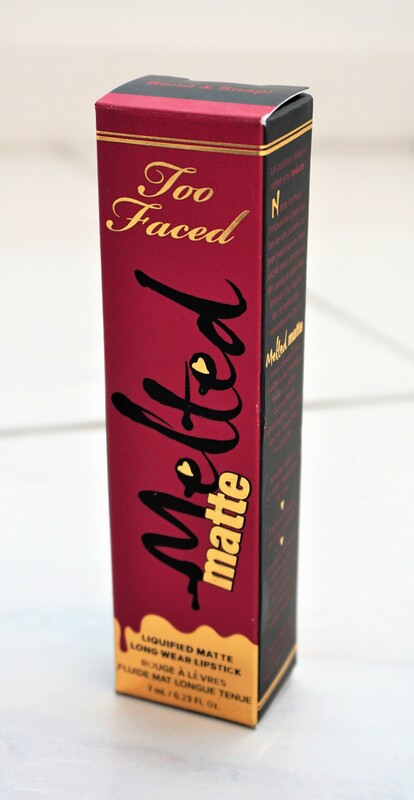 Recently, I was browsing the Too Faced counter in my local Debenhams and picked out the shade ‘Bend & Snap’ in their ‘Melted Matte Liquified Matte Long Wear Lipstick’ formula. 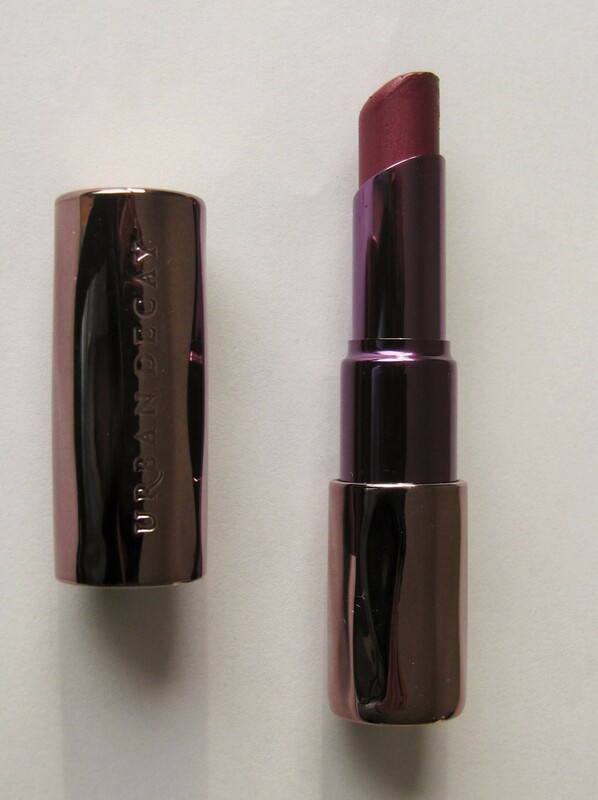 I loved the rich, deep raspberry hue of the shade and thought the formula felt so light, velvety and smooth on the lips. I just had to get it! Interested in other Too Faced products? You can see my other posts on Too Faced here or search under Faves, Hauls & Brands/Brands/Too Faced on the menu bar. Interested in other products from the Too Faced Liquified Long Wear Lipstick range? You can see a comparison of the Too Faced Liquified Long Wear Lipsticks with the Maybelline Colour Drama Intense Lip Paints here. 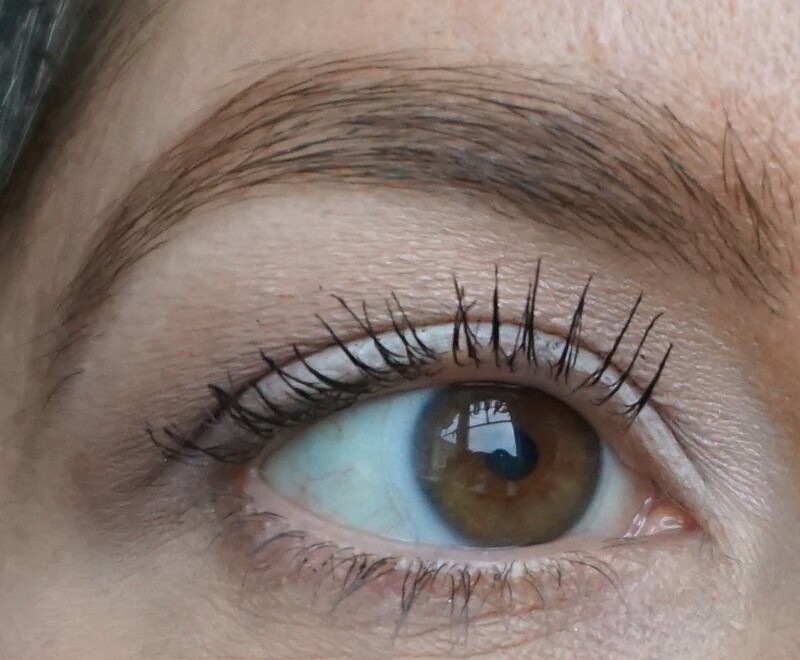 I haven’t yet played around with Rosary from the Kat Von D Saint and Sinner Eyeshadow Palette and was keen to try it out. 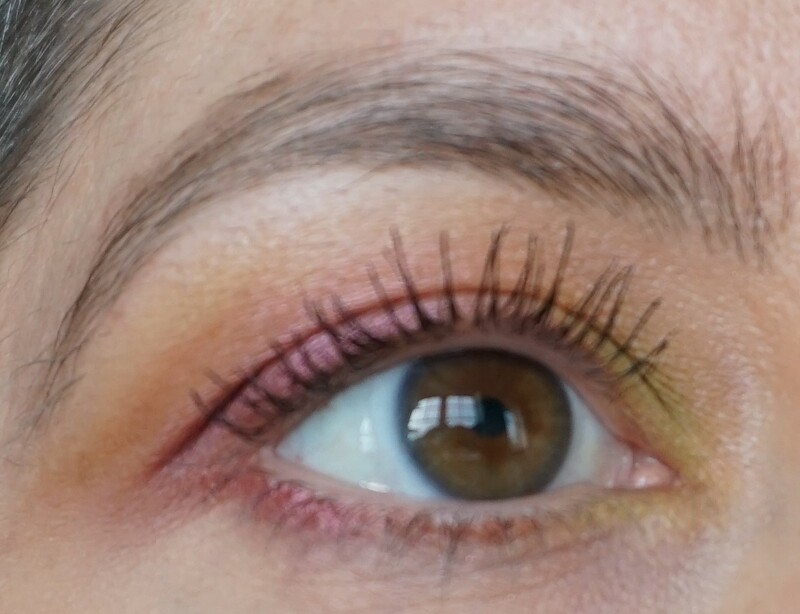 For this look, I used it alongside Sacred Heart (a peachy-coral shade) and Exodus (a light acid green) to create a soft, colourful effect on the eyes. I really like how Exodus (the lime green shade) pops out in the inner part of the lid. 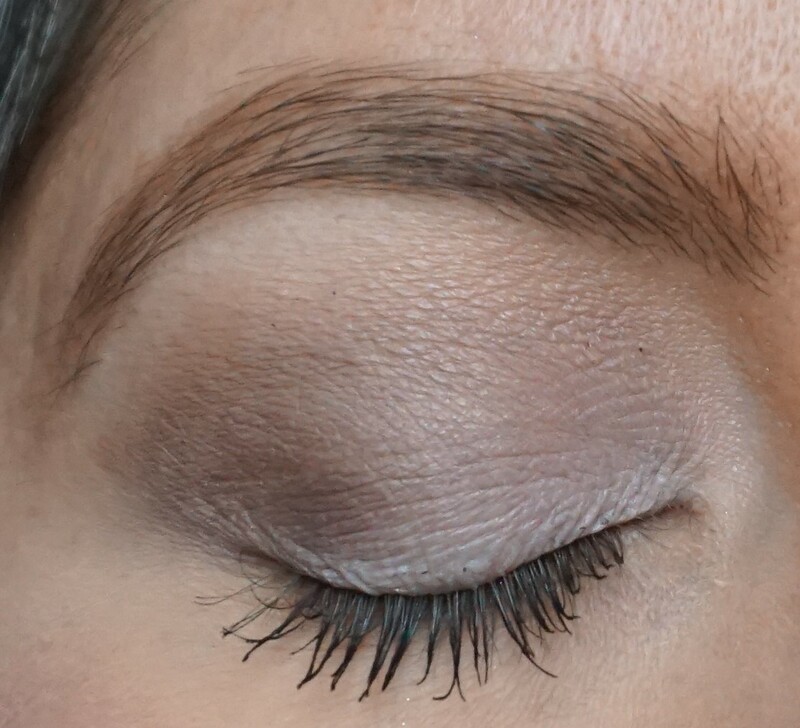 I really fancied trying out a more neutral combination with the Kat Von D Saint and Sinner Palette (see my post on this palette, including photos and swatches here) and came up with this light greyish-taupe look. Combination Ideas: This look is classic enough that it can go really well with all sorts of lip colours. I wore this combination with Too Faced Wham lipstick, a creamy, glimmering berry shade with pink, silver and purple sparkles. 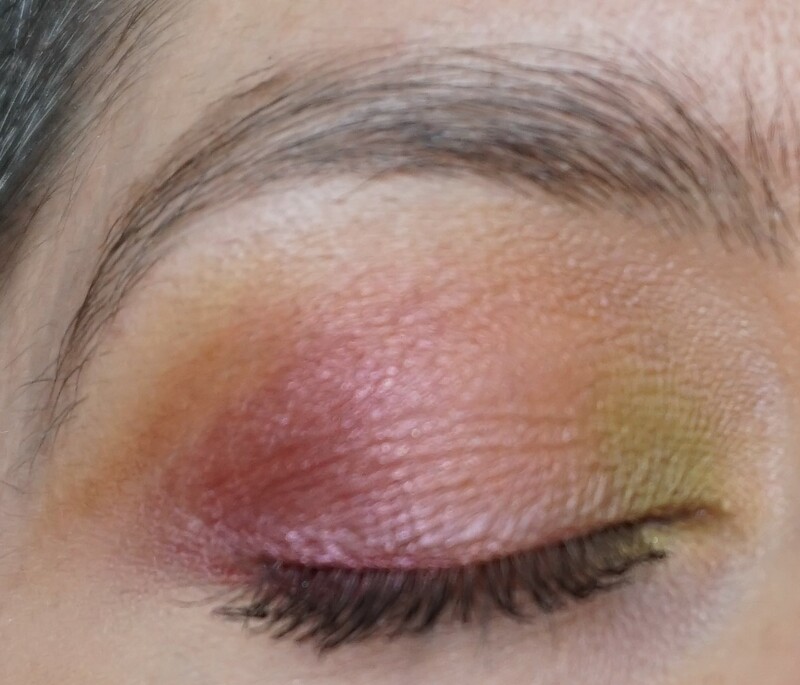 You could also try this eyeshadow with pinks, reds and deeper berry hues. Today, I am going to introduce to Urban Decay Venom. 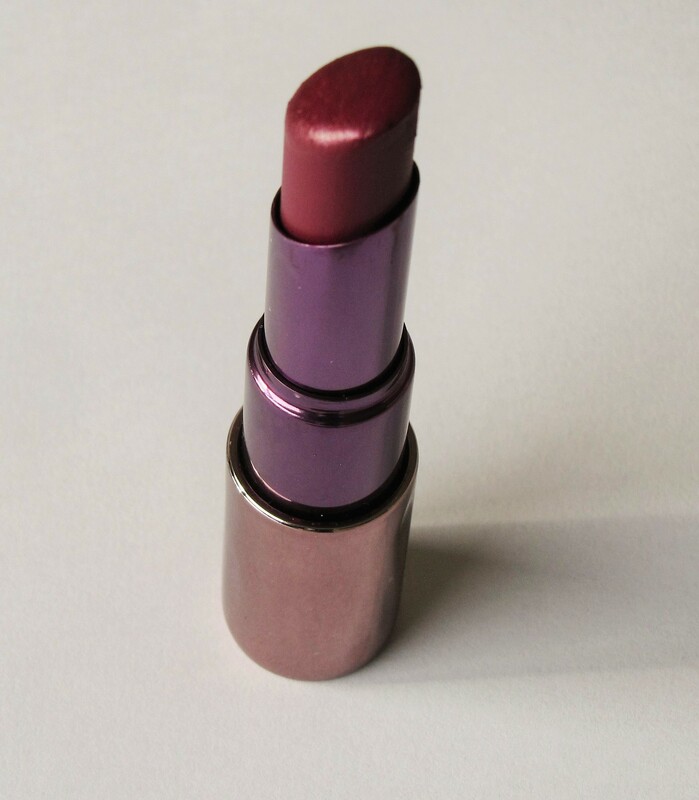 Venom is a deep, plum-berry lipstick which creates a beautiful, sultry effect on the lips. The satin finish to this shade makes the lips look sophisticated, defined and polished, rather than flat or overly shiny. The depth of colour in Venom also means that it lasts well throughout the day and does not require regular touch-ups.